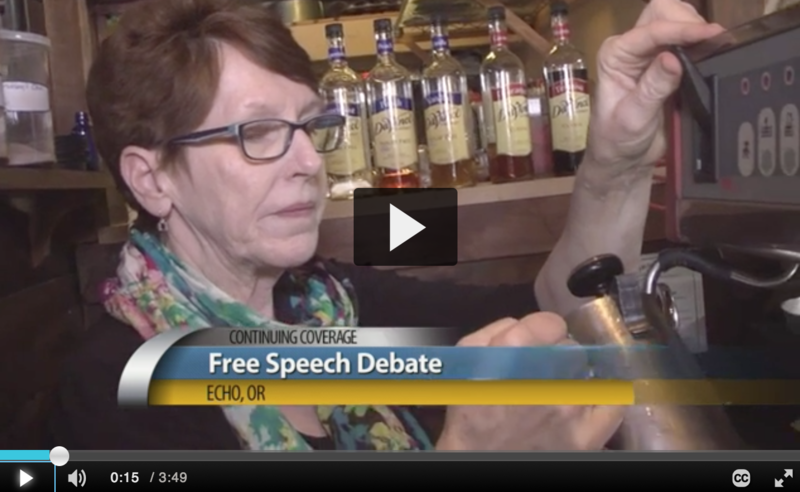 ECHO, Ore. - A small town in eastern Oregon is in the national spotlight for comments made by one its city council members. 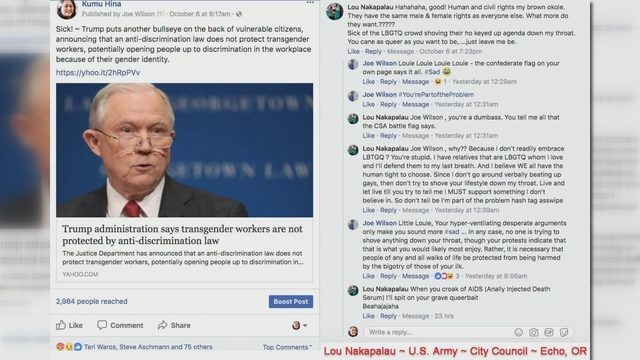 It all started in early October, screenshots showing Echo councilman Lou Nakapalou commenting on a fan page for Kumu Hina, a film about a transgender woman in Hawaii. 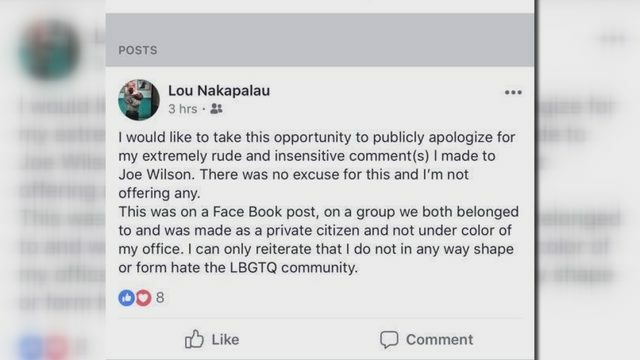 “Sick of LBGTQ crowd shoving their whole keyed up agenda down my throat,” Nakapalou’s first comment said. LGBTQ filmmaker Joe Wilson responded, in what he calls a humorous, mocking way. 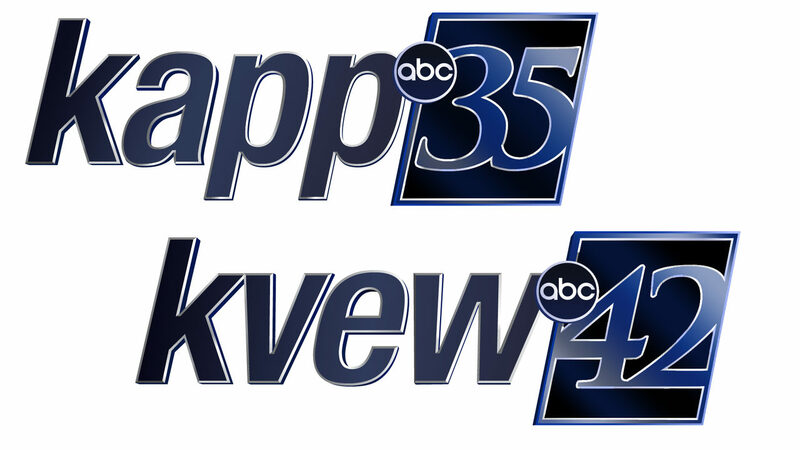 In a video call Sunday night from Taiwan, Wilson spoke with KAPP-KVEW about the incident. Harris said after learning of the comments last week, he consulted with council before presenting at the meeting. Harris said he is now going through current city bylaws to consider presenting a new social media policy for elected officials. Upset residents and LGBTQ advocates like PFLAG Pendleton Oregon Chapter have praised Harris’s apologies and efforts to create more future accountability. However, some feel more should be done to address Nakapalou’s comments directly. The story first published by the East Oregonian has now reached national publications, such asRaw Story and Gay Star News, putting the town of about 700 at the center of fiery debate. All the way in Taiwan, Wilson continues to feel the ripple effect, regularly posting updates of the news to social media. 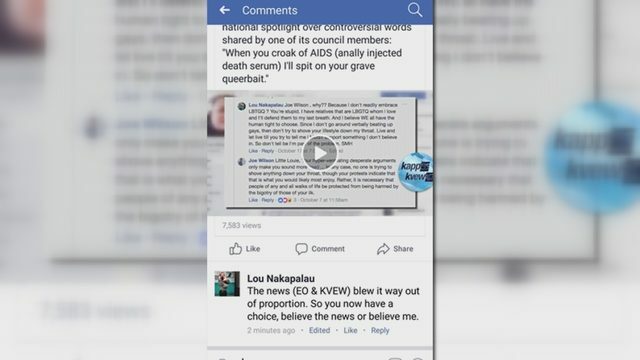 KAPP-KVEW has reached out directly to Lou Nakapalou via Facebook for comment, as well as knocking on his door, without answer. Our reporter was told by a staff member at Echo City Hall a message left for Nakapalou was passed along.